Travelers passing through, tourists, commercial vehicles, visitors, and Missouri residents all share the roads. Unfortunately, heavy traffic means that the likelihood of an accident has increased. Drivers can practice safe driving habits and be very cautious, but accidents still happen. 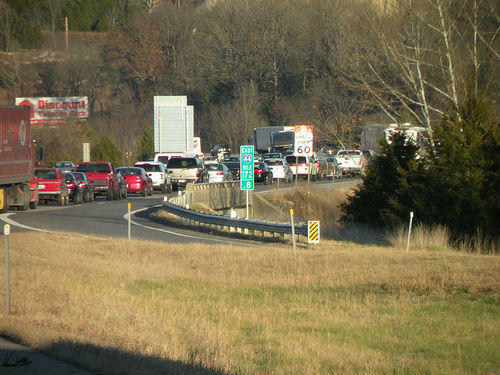 In Missouri, Highway 44 is likely to be an accident site. There was a total of 142,966 car accidents. There were 786 fatalities that resulted from these accidents. This comes to a total of one car accident death every 11 hours. There were 51,060 individuals who suffered injuries in car accidents. This amounts to an injury from a car accident every 10 minutes. On average, a motorcyclist is injured or killed on Missouri roads every 3.9 hours. Another major contributing cause of fatal auto accidents is drunk driving. Drinking and driving caused 26.8 percent of fatal crashes, according to the report. Drinking and driving contributed to the cause of 4.4 percent of total accidents in Missouri. Motorcycles were involved in 1.8 percent of Missouri auto accidents. But because motorcycles offer less protection to riders, 80 percent of motorcycle accidents result in personal injury or fatality. In order to receive the full compensation to which you are entitled from insurance companies or any negligent parties whose actions contributed to causing the accident, you should contact the Missouri car accident lawyers at The Hoffmann Law Firm, L.L.C. as soon as possible. At The Hoffmann Law Firm, L.L.C. we will work to build a strong case right from the start so you can receive the maximum compensation you are entitled to. Call us today at (314) 361-4242 or fill out our online contact form to schedule a free consultation.